Link XXL lamps are a Ramón Esteve design. 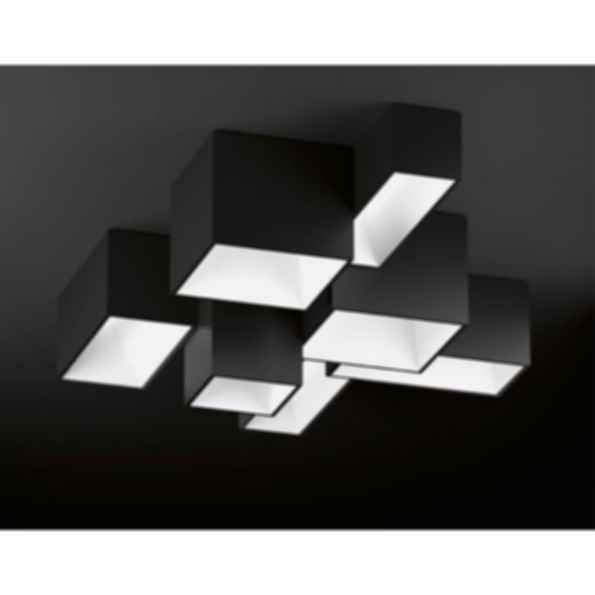 The Link XXL collection includes four modules of varying sizes and heights allowing users to create bespoke ceiling silhouettes and volumes as desired. Each potential composition of the Link XXL ceiling light collection simply requires a single electrical point which makes it a highly versatile light, appropriate for all kinds of environments based on the interconnectivity of the modules. The LED light source can also be dimmed. Vibia manufactures the Link XXL lamp in matte lacquered white and matte lacquered charcoal gray. Cosy Hanging Lamp The Urban Electric Co.
Diamond Hanging Lamp The Urban Electric Co.
Betty Hanging Lamp The Urban Electric Co.
Vibia designer lamps, a unique collection of products and solutions that stimulate lighting professionals and help create atmospheres.